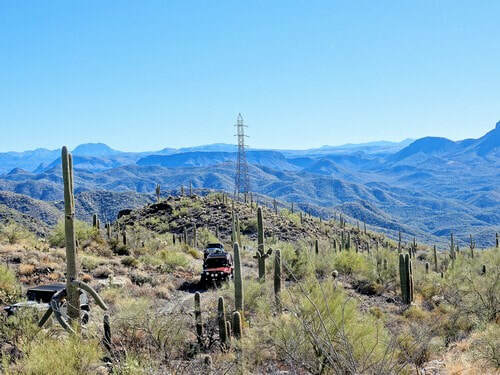 This Jeep trail takes you high into the Dripping Springs Mountains. 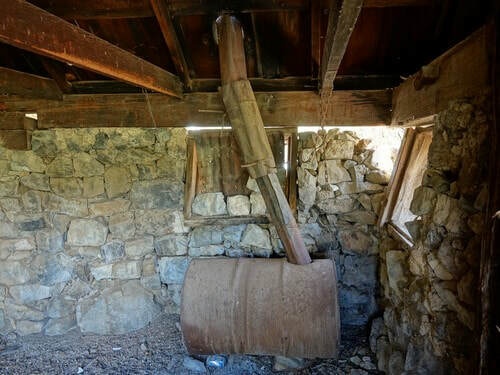 Tour several mines and visit an old cabin built with a tree through the roof. 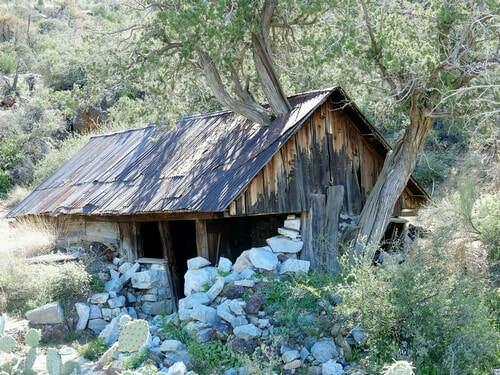 We do not know the history of the cabin, but it might have been associated with the New Year Mine because it is close by. 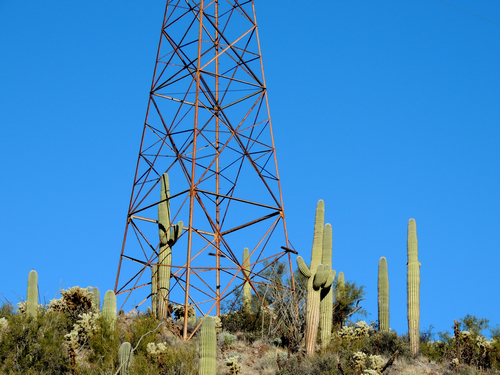 ​There is a GPS - gpx file at the bottom of this page. We like to start from Highway 77 on the east side of this loop, so this is how the trail is described. It can be driven in either direction, but this gets the bumpy part out of the way first and the trip home at the end is on a graded road. Note: There is a gate on the west graded road leg of this trail. We have not found it to be locked, but it always possible. You might think about starting on this end to see if the gate is locked. Unless you enjoy running a trail backward the same day. Update 2019: We ran the trail beginning on Highway 177 (west end) and now believe this is the more scenic way to do the trail. Too lazy to redo the webpage though. 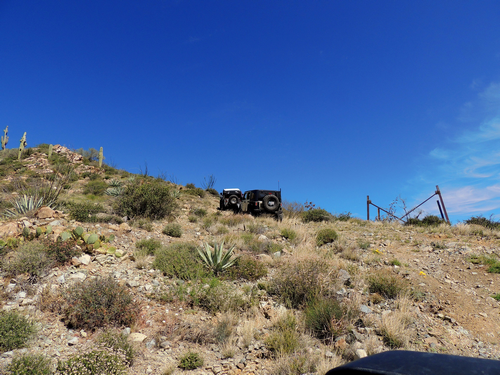 The first part of the run alongside O'Carroll Canyon has a few eroded spots and rocky areas to add a bit of interest. 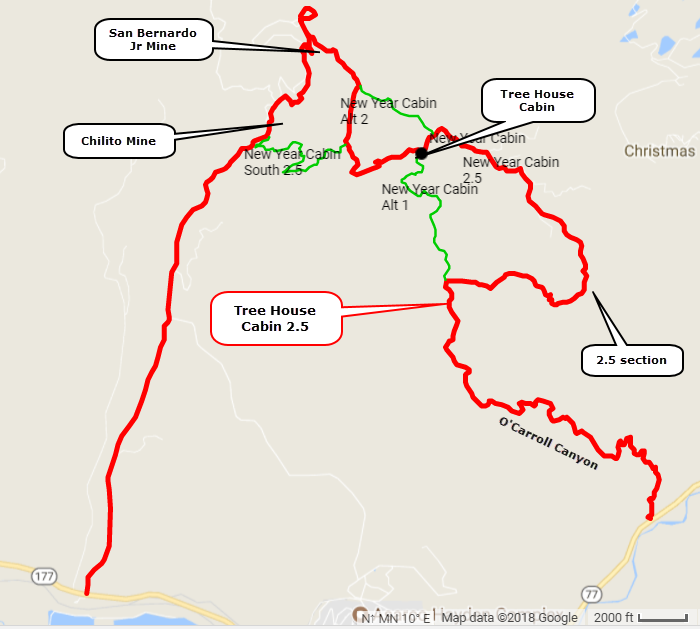 The main trail goes straight through to the cabin, but the route featured on this website turns off and follows less used roads up loose rocky climbs to high spots with great views in all directions. This is a very interesting 2.5 rated part of the trip. Continue on the less used road and head for the cabin. 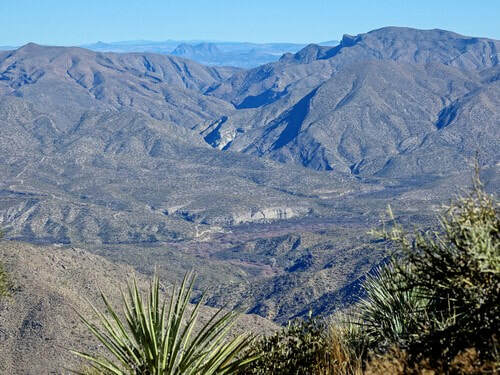 Look east to see where the Gila River comes down from the San Carlos Reservoir. The cabin was designed to stay cool. In the ground and shaded by a tree! 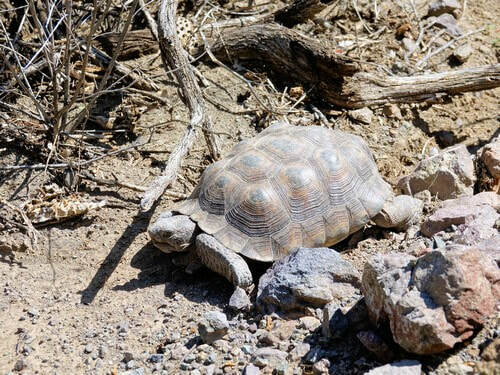 ​Desert tortoise are seldom seen, but we were lucky on this trip. 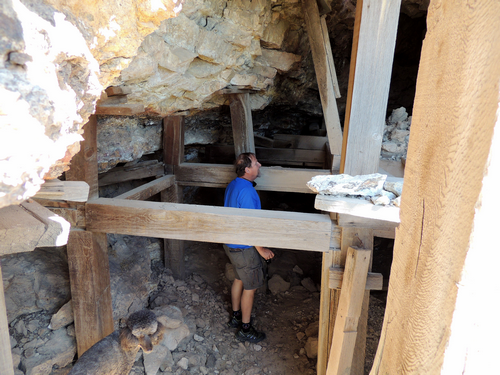 Leave the cabin, drop down into a wash then climb to a ridge above the San Bernardo jr Mine. 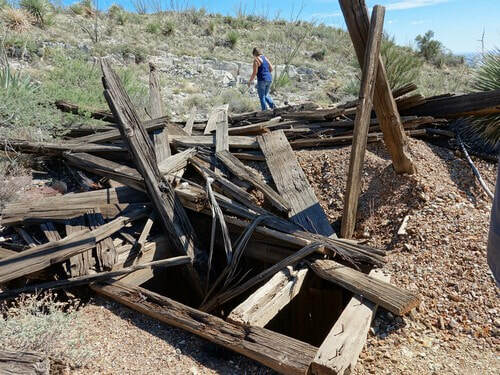 There is a short spur to the remains of a headframe and the entrance to a vertical shaft. It is a long way down. 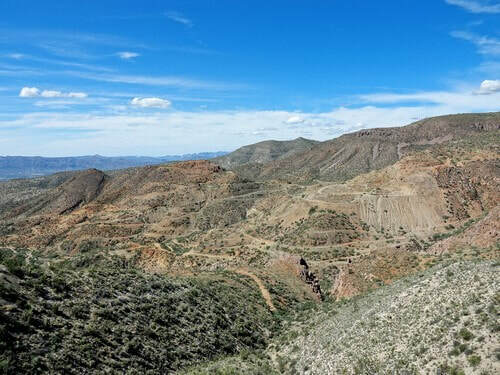 Drive a short loop for great views of Highway 77, then drop downhill by entrances to many shafts of the San Bernardo Jr Mine. The one pictured is the fourth one you will come to. 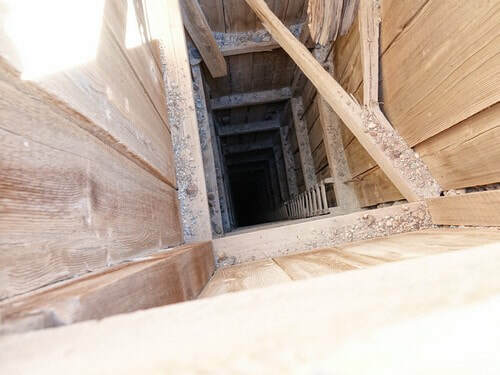 ​Continue down on your way to the Chilito Mine. 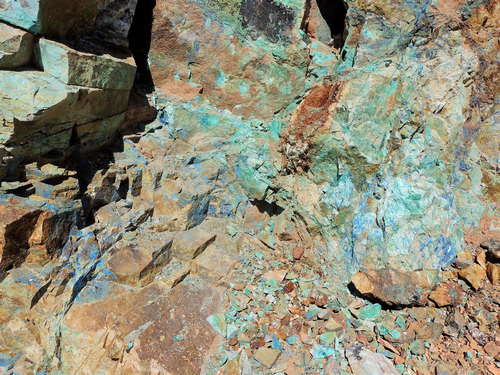 There is a ledge with veins of chrysocolla and azurite just as you reach the upper limits of Chilito Mine. There are many small pieces throughout the tailings. 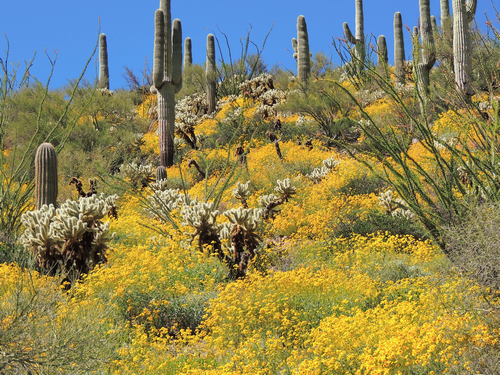 Visit in the spring to see brilliant displays of brittle bush. There is a semi graded road from the core shack to Highway 177. This is the road with the gate.